Are you on the hunt for the perfect Christmas pressie for the design lover in your life? Being design enthusiasts ourselves, you've come to the right place! It’s safe to say we have a few great suggestions in mind to help make this years Christmas shopping a breeze. The perfect gift for a design lover should be something beautiful, interesting and eye-catching, that they can enjoy every day in their very own home. 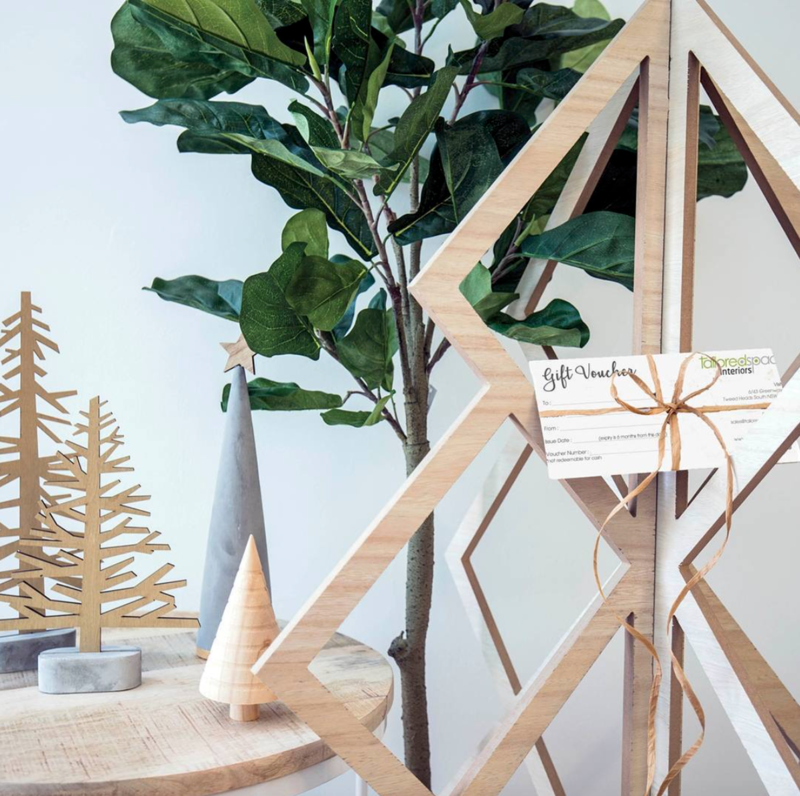 Here at Tailored Space Interiors we have your Christmas gift shopping sorted, particularly when it comes to one-of-a-kind homewares, artworks, and accessories. So if you’re currently trying to find the perfect pressies for design-loving friends and family, keep reading for 10 of our top picks! Beautifully detailed vases are one of those accessories that you never think to buy for yourself, which is why they are so warmly received as a gift! Vases and vessels add a real homely touch to any household, and can be used as a way to decorate bench tops, coffee tables, and shelving. We love the idea of gifting a gorgeous vase, and with so many different designs available you can really choose a style that reflects the recipient. You can view our range of vases here! When in doubt, just add green! A potted plant is one of our go-to gifts; from small succulents and cacti to larger palms and figs. You can personalise your chosen plant with a beautiful vessel like a woven basket or statement stylish pot - the possibilities are endless. 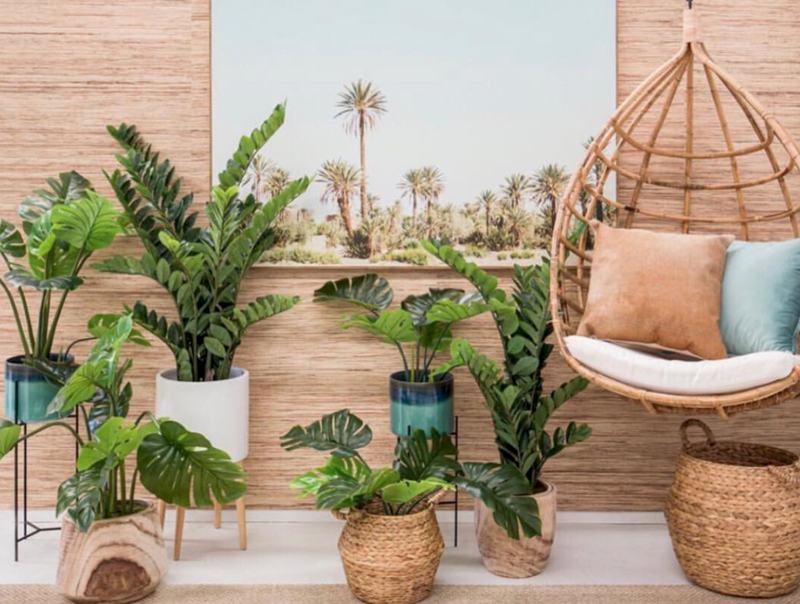 Artificial plants are a winner in our books, making them a long-lasting gift that doesn’t require constant maintenance. You can view our range of plants and greenery here! It goes without saying that any design lover will appreciate beautiful artwork! 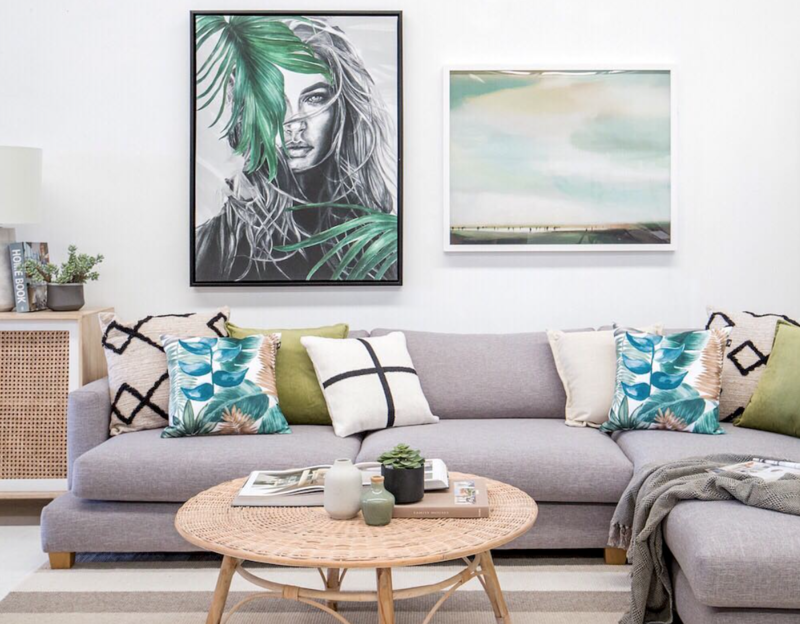 Choosing artwork can be a personal decision, so we recommend gifting something subtle and neutral like a landscape, coastline, watercolour or botanical print. Smaller prints are a great idea as they can also be used in offices or displayed on shelving or console tables. You can view our range of artwork here! Throw rugs and cushions are always a popular gift idea, and for good reason. There’s no better way to refresh a living room or bedroom than by incorporating some cosy textiles. Whether you opt for something soft and neutral, or choose something more colourful and bold, throw rugs and cushions will definitely be warmly received by design lovers. You can view our range of throw rugs and cushions here! You just can’t go wrong with a deliciously fragrant candle or reed diffuser as a Christmas gift! When it comes to choosing the perfect candle for a design lover, you’ll want to find a modern and beautiful design that can be proudly displayed throughout their home. 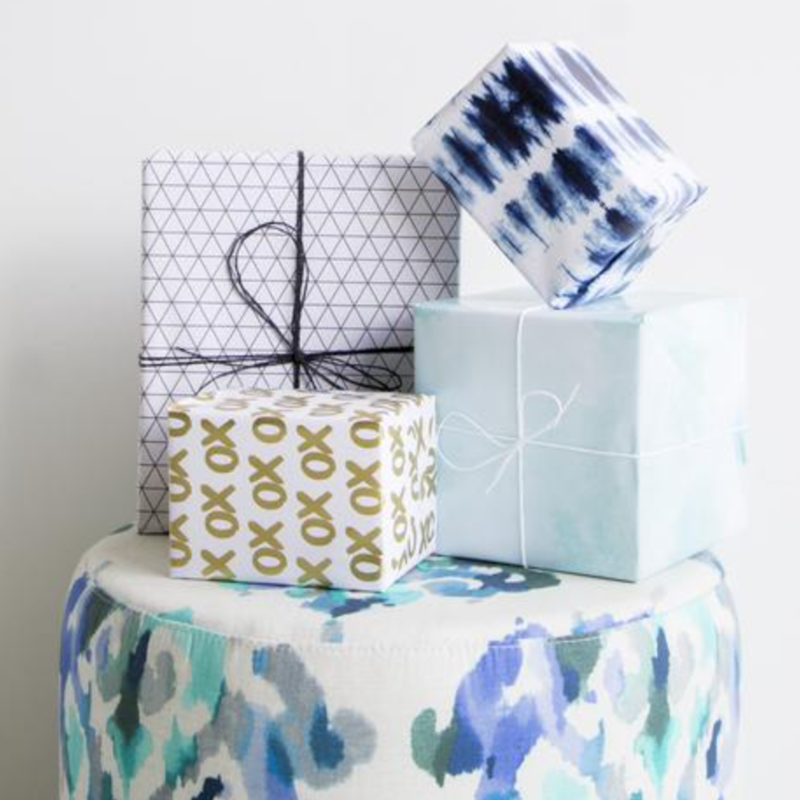 Candles make for a foolproof Secret Santa gift, too! You can view our range of candles and diffusers here. For the design lover who has everything - a gift voucher is the way to go! If your design lover has particular styling preferences, or if you’re unsure what might fit best in the existing design of their home, a gift voucher allows them to make a purchase that truly reflects their own unique tastes. You can purchase a gift voucher online here! Christmas shopping can sometimes be a struggle, but hopefully our gift idea suggestions above will provide some inspiration to make it a little easier! Don’t forget we have Afterpay and ZipPay available for all items too, so you can buy now and pay later. For some extra assistance in selecting the perfect gift, you can visit our Tweed Heads showroom in-store to view our range in person. Or, get in touch with our friendly team for some more information on any of the gift ideas listed above. Keep up to date with us by following us on Instagram & Facebook!